The day in March 1519 when the Spanish expedition led by Hernan Cortes landed on the coast of the American mainland constituted a turning point in the history of Mexico. The arrival of the Europeans coincided with a time of crisis in the Aztec Empire. Driven by reports of the fabulous wealth of the realm and taking full advantage of their superior weaponry and the assistance offered by local native peoples who decided the time had arrived to settle their accounts with the Aztecs, the Spanish invaders accomplished in a few years one of the most astonishing conquests in history. When on August 13, 1521, Cortes finally captured Tenochtitlán, the Aztec capital later renamed Mexico City, the last in a long chain of rich indigenous civilizations that had flourished in Mexico since prehistoric times came to a violent end. By the end of the 16th century Spanish rule in New Spain was well established over the entire territory of modern Mexico and beyond. The Spanish New World, and especially Nueva España (New Spain), as the Spanish conquistadors called Mexico, attracted from the beginning of the 16th century large numbers of New Christians – recent Jewish converts to Christianity. Unlike the Portuguese in their dominions, the Spanish administration already in 1528 prohibited the settlement in Mexico of persons suspected of being potential agents of religious heresy, like New Christians and descendents of convicts of the Spanish and Portuguese Inquisition as far as the fourth generation. 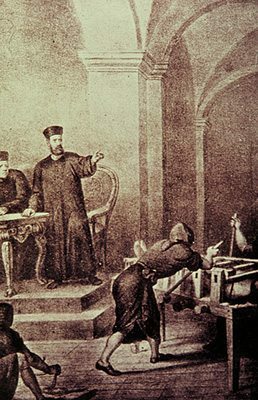 The establishment of a local Inquisition in 1571 contributed to a more vigorous implementation of that policy, which led to an increasingly hostile attitude towards every person suspected of practicing crypto-Judaism, especially during the campaigns conducted in the 1580s and 1590s and again in the 1640’s. The first “judaizantes” (“Judaizers”) were tried in 1528 and an auto-da-fé was conducted in the Cathedral of Mexico. 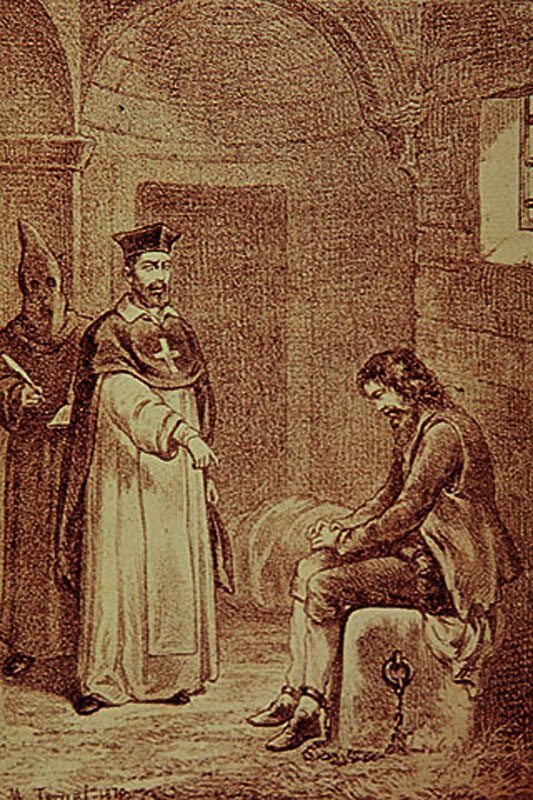 Hernando Alonso, a carpenter employed by the conquistador army of Hernan Cortes, was one of the two convicted men burned at the stake on that day. However, it was during the late years of the 16th century and the first half of the 17th century that most of the trials and executions took place, culminating with the infamous auto-da-fé of April 11, 1649. Almost all information now available on possible Jewish settlement in Mexico during the colonial period is based on inquisitorial documents. The investigators took great care in recording every piece of testimony. Every bit of evidence they could extract from someone suspected of secretly practicing Jewish rites was of the utmost importance for gathering new valuable intelligence that could be further used in their zeal to extirpate every trace of Judaism in Mexico. Prisoners were requested to disclose the names of their relatives and acquaintances as well as to reconstruct their genealogical tree. The surviving files contain precise descriptions of traditions and practices supposed to be Jewish and provide an invaluable opportunity for understanding the world of the New Christians in Mexico. The great majority of the New Christians were small merchants, peddlers, artisans, a handful made a living as physicians and even as military men, while a small but prominent group was engaged in international trade. Indeed much of that commerce was dominated by New Christians who succeeded in establishing lucrative connections with fellow crypto-Jews in other American colonies and with European Jews, especially from the Netherlands. New Christians arrived in the American colonies despite the official Spanish policy that interdicted settlement of people who either could not prove their limpieza de sangre (“purity of blood”) or had been previously prosecuted by the Spanish or Portuguese Inquisition. A large number of New Christians in Mexico originated from Portugal; their influence was so widely felt that sometimes “Portuguese” became synonymous with New Christian, in other words, Jewish. In comparison to the general population, the New Christians were well educated; probably all of the men were literate and quite often the women too. They read portions of the Bible, which served as the main source for their knowledge of Judaic practice, but also several other books including the New Testament and additional Christian religious texts. In general their knowledge of Christianity was more profound than that displayed by the average Spanish colonist. There were also a few New Christians who had acquired some familiarity with the indigenous culture: for instance while being held in the inquisitorial prisons they used the Nahuatl language as a secret means of communication. As in the Spain and Portugal, the women served as the main guardians of Jewish tradition. Religious education was given to children when they were about 10-15 years of age. The New Christians’ faith and practices reflected similar behavior by other Spanish and Portugueseconversos (“converts”) and included belief that the Messiah has yet to come, that one must observe Shabbat, and observe specific fasts. Fasting on particular days was considered to be instrumental in preventing calamities; the most valued being the “Day of the Great Fast” (ayuno del día grande). It started and finished with a light meal, and was observed by large numbers of crypto-Jews. The protocols of the Inquisition preserved the texts of their prayers, mostly in Spanish, but occasionally containing Hebrew words as well. Endogamy was widespread among New Christians. Sometimes they conducted inquiries of their own in order to be sure the future in-laws kept the Judaic traditions. Family connections facilitated the establishment of small covert groups whose members strove to help each other, especially in matters related to the observance of the traditions. This milieu, a sort of embryonic community that at times was guided and instructed by a spiritual leader, used to meet in secret houses of prayer under great risk of being denounced by neighbors. However, it seems that there had never been a real Jewish community in Mexico during the 16th and the 17th centuries; the group led by Luis de Carvajal the Younger was perhaps the best organized and closest to the framework of a community. It was not unusual for an individual to be denounced to the Inquisition by his former best friends, neighbors, and associates. This was an easy way to take revenge against someone, for instance a commercial rival. The accusations brought against individuals charged with observing Jewish rites clandestinely contain allegations regarding the observance of genuine Jewish rituals as well as other customs supposed to be Jewish. 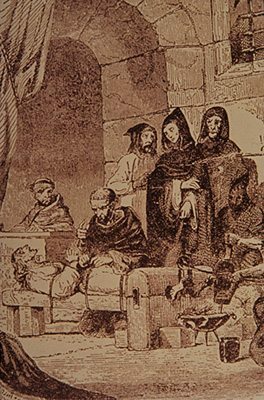 Many a victim of inquisitorial investigations, frequently conducted under torture, admitted to at least part of the charges. It is important to note that not all those suspected or convicted of crypto-Judaism actually practiced any Jewish rites, moreover some of them had no connection whatsoever with the Jewish people and were innocent victims of denunciation. Pedro de la Rocabal was accused of being “a Jew and a Lutheran”, June 1595. However, other victims considered themselves to be Jewish, even if their rites were not actually within the accepted Judaic practice and beliefs of the time. In total about 1,500 persons were accused of Judaizing during the 16th and the 17th centuries: more than a hundred were executed in public and some two hundred died whilst in prison. On the other hand it seems that the Inquisition never reached a number of real crypto-Jews, who managed to live undisturbed in various Mexican settlements. Typical accusations against suspects of crypto-Judaism included: Observance of Shabbat, which included such things as: wearing clean clothes on Saturdays, eating meat on Fridays, paying visits to friends; the refusal to eat treif food, especially pork, or showing some traces of Jewish ritual slaughter or abstaining from eating specific meals; anti-Catholic “provocations”, such as not fasting on Fridays, absence from Mass, working on Sundays or compelling servants to work on Catholic feast days; acts of hate towards Christianity, such as flagellation of crucifixes, blasphemies against the Saints, etc. Luis de Carvajal el Mozo (“The Younger”) was the nephew of the Spanish governor of the same name who was sent to colonize the northeastern territories (the modern Mexican State of Nuevo Leon). Carvajal the Younger was born around 1566 and by 1587 he was probably the most influential spiritual leader of the Mexican crypto-Jews, aspiring to become the leader of all crypto-Jews in New Spain. He attempted to contact each and every person he thought to be of Jewish origin and convince them to observe the Law of Moses. 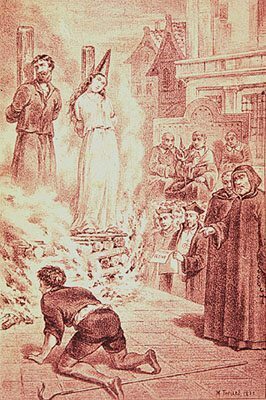 Luis de Carvajal the Younger was tried twice by the Inquisition and finally burned at the stake in an auto-da-fé on December 8, 1596 along with his mother, three sisters and five other crypto-Jews. so they will take me out of here”. By the end of the 17th century the remaining crypto-Jews assimilated into the Mexican population. Some of their traditions, having lost their original Jewish meaning, enriched the local folklore. During the 20th century members of the native Mexican communities of Venta Prieta and Vallejo claimed to be descended from the crypto-Jews of the colonial period and returned to Judaism. A number of Christian Mexican families, like the Villarreal Family, now residing in Texas, proudly affirm their Jewish roots.